cracking, widely used for reinforcement of road surface, bridge deck and building foundation. convenient and easy to use for reinforcement of concrete structures in the field of architecture. for foundation, roof, road reinforcing to prevent concrete crackings. Reinforcing concrete mesh is the integral concrete structures component. Beton is a leading manufacturer of reinforcing mesh, as well as a supplier of concrete reinforcing wire products. 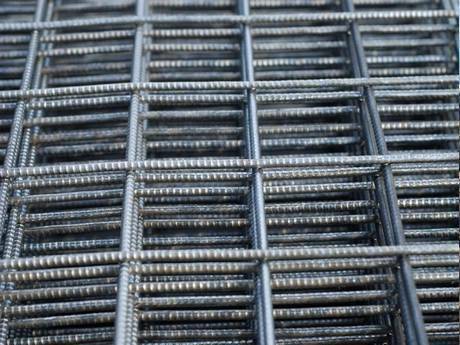 We supply various of products as follow: reinforcing mesh, slab mesh, rib mesh, trench mesh, welded mesh, truss mesh, ladder mesh, pipe-line mesh, tie wire, steel bar, rebar support, reinforcement spacers and so on. Material: carbon steel or stainless steel. Mesh opening shape: square or rectangular. Steel rod style: ribbed or smooth. Diameter: 3 – 40 mm. Distance between rods: 100, 200, 300, 400 or 500 mm. Mesh sheet width: 650 – 3800 mm. Mesh sheet length: 850 – 12000 mm. Standard reinforcing mesh size: 2 × 4 m, 3.6 × 2 m, 4.8 × 2.4 m, 6 × 2.4 m.
High strength and good stability. 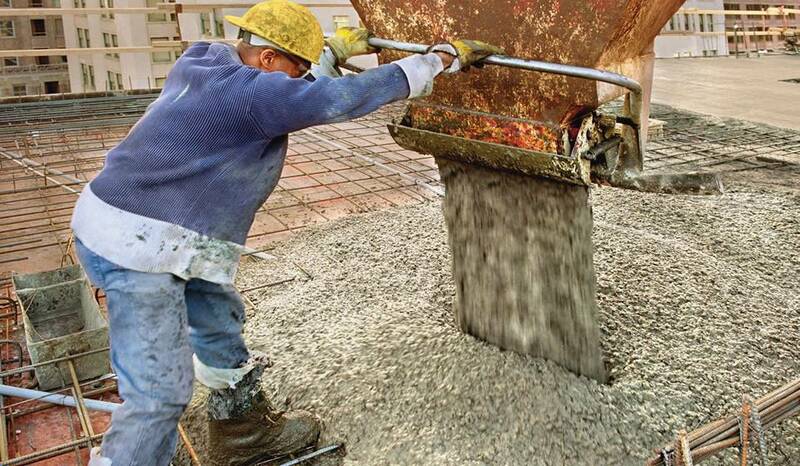 Improve bonding to concrete, minimize concrete cracking. Flat even surface and firm structure. Durable and long service life. Reinforcing welded rib mesh with ribbed profile improves bonding to concrete and minimizes crack, used in construction for concrete footpaths, ground slabs. Reinforcing welded mesh made of high tensile strength wires, corrosion and oxidation resistant, easy to install, used for reinforcement of concrete structures. 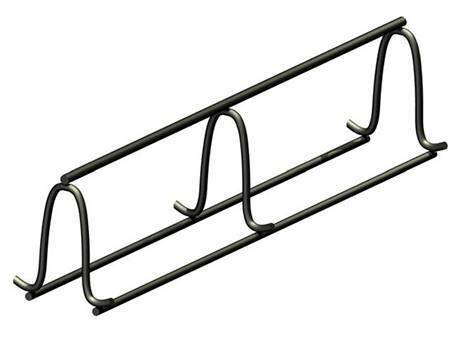 Continuous high chair including continuous high chair upper, continuous high chair with plate provides support for upper slab steel from slab form. How strong is the material? Our welded reinforcing welded mesh with galvanized surface is corrosion and rust resistant, so our product is durable and has a long service life. And our concrete slab mesh has 510 MPa tensile strength and 485 MPa minimum impact strength. 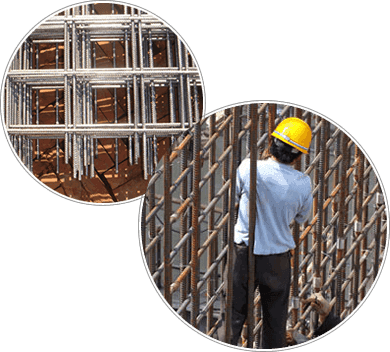 What size of reinforcing concrete mesh should we choose? Our mesh reinforcement bars diameter is 3–40 mm, and there are heavy reinforcing mesh of 12 or above 12 mm diameter and light meshes of 3–12 mm diameter. If you want to choose a proper wire mesh, please contact our sales representatives, they will recommend the most suitable specs for your applications, or just tell us your requirements and places sizes, we will customize it for you. Reinforcing welded mesh with electro galvanized or hot dipped galvanized surface treatment and bar diameter 1.5-5 mm is hot ordered by customers. Reinforcing mesh with hot dipped galvanized surface treatment, including block reinforcement ladder, reinforcing rib mesh, concrete slab mesh. Last year, I bought your reinforcing rib mesh for foundation reinforcement. It's great, with ribbed profile, it can perfectly improve the bonding to concrete and minimize concrete cracking that may occur as a result of concrete shrinkage. Thank you very much. I'm a contractor of road repairing, and I have been using your product of reinforcing welded mesh for road reinforcement. With the mesh, the road I repaired is better now and it can bear a heavier weight, many big trucks can go on the road. It's perfect! Two months ago, we decided to build a new house. I bought your truss mesh reinforcements to build the walls, It's so convenient and it not only saved labor costs for us, but also greatly reduced the construction time. My families are all very happy. Your reinforcing bar support is flexible. With high strength and flexibility, I bought it to link single reinforced steel bars for concrete construction reinforcement, and by using it, the construction time was saved and even we finished the project before the scheduled time. For many years, Beton has been offering the strong and durable reinforcing concrete mesh products to a wide range of places. 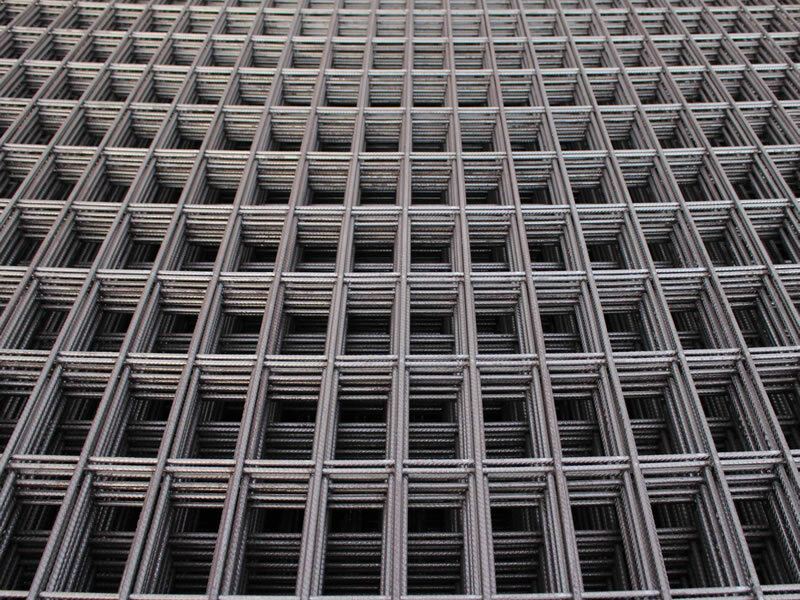 We are specialized in reinforcing concrete mesh producing and exporting, and our products are widely used for the reinforcement of concrete structure. Advanced production equipment, skilled workers, professional sale representatives and considerate after sale service contribute our high quality products and long term cooperation with our customers. 203 Renmin road, Anping, Hebei, China.